This Volkswagen Jetta delivers a Intercooled Turbo Regular Unleaded I-4 1.4 L/85 engine powering this Manual transmission. TITAN BLACK, ECO CLOTH SEATING SURFACES, PLATINUM GRAY METALLIC, ENGINE BLOCK HEATER. This Volkswagen Jetta Comes Equipped with These Options Window Grid Diversity Antenna, Wheels: 16 x 6.5J Rama Painted Alloy, Variable Intermittent Wipers w/Heated Jets, Urethane Gear Shift Knob, Trunk Rear Cargo Access, Trip Computer, Transmission: 6-Speed Manual, Torsion Beam Rear Suspension w/Coil Springs, Tires: 205/60R16 95H All Season, Strut Front Suspension w/Coil Springs. Stop By Today Come in for a quick visit at Sherwood Park Volkswagen, 2365 BROADMOOR BLVD, SHERWOOD PARK, AB T8H 1N1 to claim your Volkswagen Jetta! This Volkswagen Golf boasts a Intercooled Turbo Regular Unleaded I-4 1.8 L/110 engine powering this Automatic transmission. PURE WHITE, Wheels w/Silver Accents, Valet Function. This Volkswagen Golf Comes Equipped with These Options Trip Computer, Tailgate/Rear Door Lock Included w/Power Door Locks, Systems Monitor, Strut Front Suspension w/Coil Springs, Steel Spare Wheel, Smart Device Integration, Single Stainless Steel Exhaust, Side Impact Beams, Side Curtain Protection Curtain 1st And 2nd Row Airbags, Rigid Cargo Cover. Stop By Today Come in for a quick visit at Sherwood Park Volkswagen, 2365 BROADMOOR BLVD, SHERWOOD PARK, AB T8H 1N1 to claim your Volkswagen Golf! This Volkswagen Jetta delivers a Intercooled Turbo Regular Unleaded I-4 1.4 L/85 engine powering this Automatic transmission. Window Grid Diversity Antenna, Wheels: 16 x 6.5J Rama Painted Alloy, Variable Intermittent Wipers w/Heated Jets. This Volkswagen Jetta Comes Equipped with These Options Urethane Gear Shift Knob, Trunk Rear Cargo Access, Trip Computer, Transmission: 8-Speed Automatic w/Tiptronic, Torsion Beam Rear Suspension w/Coil Springs, Tires: 205/60R16 95H All Season, Strut Front Suspension w/Coil Springs, Steel Spare Wheel, Single Stainless Steel Exhaust, Side Impact Beams. Visit Us Today Test drive this must-see, must-drive, must-own beauty today at Sherwood Park Volkswagen, 2365 BROADMOOR BLVD, SHERWOOD PARK, AB T8H 1N1. This Volkswagen Jetta boasts a Intercooled Turbo Regular Unleaded I-4 1.4 L/85 engine powering this Automatic transmission. Window Grid Diversity Antenna, Variable Intermittent Wipers w/Heated Jets, Urethane Gear Shift Knob. This Volkswagen Jetta Features the Following Options Trunk Rear Cargo Access, Trip Computer, Torsion Beam Rear Suspension w/Coil Springs, Strut Front Suspension w/Coil Springs, step eco cloth seating surfaces, Steel Spare Wheel, Single Stainless Steel Exhaust, Side Impact Beams, Side Curtain Protection Curtain 1st And 2nd Row Airbags, Seats w/Cloth Back Material. Stop By Today A short visit to Sherwood Park Volkswagen located at 2365 BROADMOOR BLVD, SHERWOOD PARK, AB T8H 1N1 can get you a tried-and-true Jetta today! This Volkswagen Jetta delivers a Intercooled Turbo Regular Unleaded I-4 1.4 L/85 engine powering this Automatic transmission. Window Grid Diversity Antenna, Variable Intermittent Wipers w/Heated Jets, Urethane Gear Shift Knob. This Volkswagen Jetta Comes Equipped with These Options Trunk Rear Cargo Access, Trip Computer, Torsion Beam Rear Suspension w/Coil Springs, Strut Front Suspension w/Coil Springs, step eco cloth seating surfaces, Steel Spare Wheel, Single Stainless Steel Exhaust, Side Impact Beams, Side Curtain Protection Curtain 1st And 2nd Row Airbags, Seats w/Cloth Back Material. Visit Us Today Come in for a quick visit at Sherwood Park Volkswagen, 2365 BROADMOOR BLVD, SHERWOOD PARK, AB T8H 1N1 to claim your Volkswagen Jetta! This Volkswagen Jetta delivers a Intercooled Turbo Regular Unleaded I-4 1.4 L/85 engine powering this Automatic transmission. Window Grid Diversity Antenna, Variable Intermittent Wipers w/Heated Jets, Urethane Gear Shift Knob. This Volkswagen Jetta Comes Equipped with These Options Trunk Rear Cargo Access, Trip Computer, Torsion Beam Rear Suspension w/Coil Springs, Strut Front Suspension w/Coil Springs, step eco cloth seating surfaces, Steel Spare Wheel, Single Stainless Steel Exhaust, Side Impact Beams, Side Curtain Protection Curtain 1st And 2nd Row Airbags, Seats w/Cloth Back Material. Stop By Today For a must-own Volkswagen Jetta come see us at Sherwood Park Volkswagen, 2365 BROADMOOR BLVD, SHERWOOD PARK, AB T8H 1N1. Just minutes away! This Volkswagen Jetta boasts a Intercooled Turbo Regular Unleaded I-4 1.4 L/85 engine powering this Automatic transmission. TITAN BLACK, ECO CLOTH SEATING SURFACES, PURE WHITE, ENGINE BLOCK HEATER. This Volkswagen Jetta Features the Following Options Window Grid Diversity Antenna, Wheels: 16 x 6.5J Rama Painted Alloy, Variable Intermittent Wipers w/Heated Jets, Urethane Gear Shift Knob, Trunk Rear Cargo Access, Trip Computer, Transmission: 8-Speed Automatic w/Tiptronic, Torsion Beam Rear Suspension w/Coil Springs, Tires: 205/60R16 95H All Season, Strut Front Suspension w/Coil Springs. Stop By Today Stop by Sherwood Park Volkswagen located at 2365 BROADMOOR BLVD, SHERWOOD PARK, AB T8H 1N1 for a quick visit and a great vehicle! This Volkswagen Jetta delivers a Intercooled Turbo Regular Unleaded I-4 1.4 L/85 engine powering this Automatic transmission. Window Grid Diversity Antenna, Wheels: 16 x 6.5J Rama Painted Alloy, Variable Intermittent Wipers w/Heated Jets. This Volkswagen Jetta Features the Following Options Urethane Gear Shift Knob, Trunk Rear Cargo Access, Trip Computer, Transmission: 8-Speed Automatic w/Tiptronic, Torsion Beam Rear Suspension w/Coil Springs, Tires: 205/60R16 95H All Season, Strut Front Suspension w/Coil Springs, Steel Spare Wheel, Single Stainless Steel Exhaust, Side Impact Beams. Stop By Today For a must-own Volkswagen Jetta come see us at Sherwood Park Volkswagen, 2365 BROADMOOR BLVD, SHERWOOD PARK, AB T8H 1N1. Just minutes away! This Volkswagen Jetta boasts a Intercooled Turbo Regular Unleaded I-4 1.4 L/85 engine powering this Automatic transmission. Window Grid Diversity Antenna, Wheels: 16 x 6.5J Rama Painted Alloy, Variable Intermittent Wipers w/Heated Jets. This Volkswagen Jetta Features the Following Options Urethane Gear Shift Knob, Trunk Rear Cargo Access, Trip Computer, Transmission: 8-Speed Automatic w/Tiptronic, Torsion Beam Rear Suspension w/Coil Springs, Tires: 205/60R16 95H All Season, Strut Front Suspension w/Coil Springs, Steel Spare Wheel, Single Stainless Steel Exhaust, Side Impact Beams. Stop By Today Treat yourself- stop by Sherwood Park Volkswagen located at 2365 BROADMOOR BLVD, SHERWOOD PARK, AB T8H 1N1 to make this car yours today! This Volkswagen Jetta boasts a Intercooled Turbo Regular Unleaded I-4 1.4 L/85 engine powering this Automatic transmission. Window Grid Diversity Antenna, Wheels: 16 x 6.5J Rama Painted Alloy, Variable Intermittent Wipers w/Heated Jets. This Volkswagen Jetta Comes Equipped with These Options Urethane Gear Shift Knob, Trunk Rear Cargo Access, Trip Computer, Transmission: 8-Speed Automatic w/Tiptronic, Torsion Beam Rear Suspension w/Coil Springs, Tires: 205/60R16 95H All Season, Strut Front Suspension w/Coil Springs, Steel Spare Wheel, Single Stainless Steel Exhaust, Side Impact Beams. Visit Us Today For a must-own Volkswagen Jetta come see us at Sherwood Park Volkswagen, 2365 BROADMOOR BLVD, SHERWOOD PARK, AB T8H 1N1. Just minutes away! This Volkswagen Jetta boasts a Intercooled Turbo Regular Unleaded I-4 1.4 L/85 engine powering this Automatic transmission. TITAN BLACK, ECO CLOTH SEATING SURFACES, PURE WHITE, ENGINE BLOCK HEATER. This Volkswagen Jetta Features the Following Options Window Grid Diversity Antenna, Wheels: 16 x 6.5J Rama Painted Alloy, Variable Intermittent Wipers w/Heated Jets, Urethane Gear Shift Knob, Trunk Rear Cargo Access, Trip Computer, Transmission: 8-Speed Automatic w/Tiptronic, Torsion Beam Rear Suspension w/Coil Springs, Tires: 205/60R16 95H All Season, Strut Front Suspension w/Coil Springs. Visit Us Today Come in for a quick visit at Sherwood Park Volkswagen, 2365 BROADMOOR BLVD, SHERWOOD PARK, AB T8H 1N1 to claim your Volkswagen Jetta! This Volkswagen Jetta delivers a Intercooled Turbo Regular Unleaded I-4 1.4 L/85 engine powering this Automatic transmission. Window Grid Diversity Antenna, Wheels: 16 x 6.5J Rama Painted Alloy, Variable Intermittent Wipers w/Heated Jets. This Volkswagen Jetta Features the Following Options Urethane Gear Shift Knob, Trunk Rear Cargo Access, Trip Computer, Transmission: 8-Speed Automatic w/Tiptronic, Torsion Beam Rear Suspension w/Coil Springs, Tires: 205/60R16 95H All Season, Strut Front Suspension w/Coil Springs, Steel Spare Wheel, Single Stainless Steel Exhaust, Side Impact Beams. Visit Us Today Stop by Sherwood Park Volkswagen located at 2365 BROADMOOR BLVD, SHERWOOD PARK, AB T8H 1N1 for a quick visit and a great vehicle! This Volkswagen Golf boasts a Intercooled Turbo Regular Unleaded I-4 1.4 L/85 engine powering this Manual transmission. Wheels w/Silver Accents, Valet Function, Trip Computer. This Volkswagen Golf Comes Equipped with These Options Transmission: 6-Speed Manual, Tailgate/Rear Door Lock Included w/Power Door Locks, Systems Monitor, Strut Front Suspension w/Coil Springs, Streaming Audio, Steel Spare Wheel, Speed Sensitive Rain Detecting Variable Intermittent Wipers w/Heated Jets, Single Stainless Steel Exhaust, Side Impact Beams, Side Curtain Protection Curtain 1st And 2nd Row Airbags. Visit Us Today A short visit to Sherwood Park Volkswagen located at 2365 BROADMOOR BLVD, SHERWOOD PARK, AB T8H 1N1 can get you a tried-and-true Golf today! This Volkswagen Golf delivers a Intercooled Turbo Regular Unleaded I-4 1.4 L/85 engine powering this Manual transmission. Wheels w/Silver Accents, Valet Function, Trip Computer. This Volkswagen Golf Comes Equipped with These Options Transmission: 6-Speed Manual, Tailgate/Rear Door Lock Included w/Power Door Locks, Systems Monitor, Strut Front Suspension w/Coil Springs, Streaming Audio, Steel Spare Wheel, Speed Sensitive Rain Detecting Variable Intermittent Wipers w/Heated Jets, Single Stainless Steel Exhaust, Side Impact Beams, Side Curtain Protection Curtain 1st And 2nd Row Airbags. Visit Us Today You've earned this- stop by Sherwood Park Volkswagen located at 2365 BROADMOOR BLVD, SHERWOOD PARK, AB T8H 1N1 to make this car yours today! This Volkswagen Golf boasts a Intercooled Turbo Regular Unleaded I-4 1.4 L/85 engine powering this Manual transmission. Wheels w/Silver Accents, Valet Function, Trip Computer. This Volkswagen Golf Features the Following Options Transmission: 6-Speed Manual, Tailgate/Rear Door Lock Included w/Power Door Locks, Systems Monitor, Strut Front Suspension w/Coil Springs, Streaming Audio, Steel Spare Wheel, Speed Sensitive Rain Detecting Variable Intermittent Wipers w/Heated Jets, Single Stainless Steel Exhaust, Side Impact Beams, Side Curtain Protection Curtain 1st And 2nd Row Airbags. 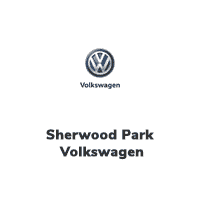 Stop By Today A short visit to Sherwood Park Volkswagen located at 2365 BROADMOOR BLVD, SHERWOOD PARK, AB T8H 1N1 can get you a dependable Golf today! This Volkswagen Beetle delivers a Intercooled Turbo Regular Unleaded I-4 2.0 L/121 engine powering this Automatic transmission. Window Grid And Roof Mount Diversity Antenna, Trip Computer, Transmission: 6-Speed Automatic w/Tiptronic -inc: sport mode. This Volkswagen Beetle Comes Equipped with These Options Tailgate/Rear Door Lock Included w/Power Door Locks, Strut Front Suspension w/Coil Springs, Streaming Audio, Steel Spare Wheel, Single Stainless Steel Exhaust, Side Impact Beams, Security System Pre-Wiring, Seats w/Cloth Back Material, Rigid Cargo Cover, Remote Keyless Entry w/Integrated Key Transmitter, Illuminated Entry and Panic Button. Visit Us Today Live a little- stop by Sherwood Park Volkswagen located at 2365 BROADMOOR BLVD, SHERWOOD PARK, AB T8H 1N1 to make this car yours today! This Volkswagen Beetle boasts a Intercooled Turbo Regular Unleaded I-4 2.0 L/121 engine powering this Automatic transmission. Window Grid And Roof Mount Diversity Antenna, Wheels: 7J x 17 Heritage Alloy, Wheels w/Chrome Hub Covers. This Volkswagen Beetle Comes Equipped with These Options Trip Computer, Transmission: 6-Speed Automatic w/Tiptronic -inc: sport mode, Tires: P215/55R17 AS, Tailgate/Rear Door Lock Included w/Power Door Locks, Strut Front Suspension w/Coil Springs, Streaming Audio, Steel Spare Wheel, Single Stainless Steel Exhaust, Side Impact Beams, Security System Pre-Wiring. Stop By Today Come in for a quick visit at Sherwood Park Volkswagen, 2365 BROADMOOR BLVD, SHERWOOD PARK, AB T8H 1N1 to claim your Volkswagen Beetle! This Volkswagen Jetta boasts a Intercooled Turbo Regular Unleaded I-4 1.4 L/85 engine powering this Manual transmission. Window Grid Diversity Antenna, Wheels: 16 x 6.5J Rama Diamond Alloy (Dual-Tone), Trunk Rear Cargo Access. This Volkswagen Jetta Features the Following Options Trip Computer, Transmission: 6-Speed Manual, Torsion Beam Rear Suspension w/Coil Springs, Tires: 205/60R16 95H All Season, Strut Front Suspension w/Coil Springs, Steel Spare Wheel, Single Stainless Steel Exhaust, Side Impact Beams, Side Curtain Protection Curtain 1st And 2nd Row Airbags, Seats w/Leatherette Back Material. Stop By Today Come in for a quick visit at Sherwood Park Volkswagen, 2365 BROADMOOR BLVD, SHERWOOD PARK, AB T8H 1N1 to claim your Volkswagen Jetta! This Volkswagen Beetle delivers a Intercooled Turbo Regular Unleaded I-4 2.0 L/121 engine powering this Automatic transmission. SAFARI UNI, CORNSILK BEIGE/TITAN BLK, RHOMBUS CLOTH SEATING SURFACES, Window Grid And Roof Mount Diversity Antenna. This Volkswagen Beetle Features the Following Options Wheels: 7J x 17 Knoxville Alloy, Wheels w/Silver Accents, Trip Computer, Transmission: 6-Speed Automatic w/Tiptronic, Tires: P215/55R17 AS, Tailgate/Rear Door Lock Included w/Power Door Locks, Systems Monitor, Strut Front Suspension w/Coil Springs, Streaming Audio, Steel Spare Wheel. Visit Us Today Live a little- stop by Sherwood Park Volkswagen located at 2365 BROADMOOR BLVD, SHERWOOD PARK, AB T8H 1N1 to make this car yours today!